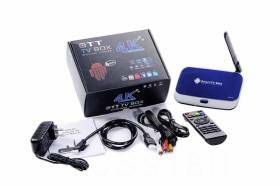 If you already know the wonders of this android tv and are interested in buy a CS918 II RK3288 Android 4.4 TV can do it directly in the link. In this analysis of CS918 II RK3288 Android 4.4 TV we will review the main specifications and we will give all the necessary information so that you can decide if it is what you are looking for. 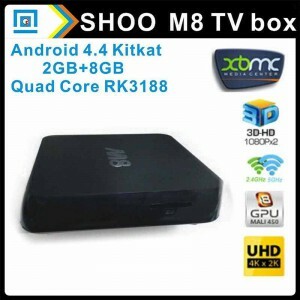 Then we will show you the specifications table of CS918 II RK3288 Android 4.4 TV. 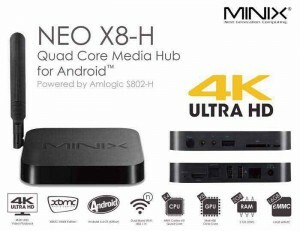 As you can see, the CS918 II RK3288 Android 4.4 TV brings some incredible features, especially the GPU that will make everything go super fast and fluid. The CS918 II RK3288 Android 4.4 TV comes with Android 4.4.2 KitKat with which we can access all the Google Play apps without any problems. Its 2 GB of RAM will make the system work well even when we load a lot of apps and games. The new SoC RK3288 is the latest model of Rockchip series, which comes with a GPU Mali-T764. This SoC is incredible, taking our TV the best in terms of speed and quality. 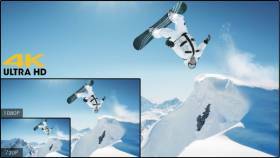 The CS918 II RK3288 Android 4.4 TV supports all possible resolutions. Among them, you can play without any problems, resolutions of 1080p at 60fps, resolutions 2K, resolutions 4K and even has support for resolutions up to 8K. Thanks to these incredible resolutions we can use a player like XBMC and enjoy all the movies, series and TV with a superb quality. The CS918 II RK3288 Android 4.4 TV brings the best chip ARM that exists right now for this type of device. Although it seems that they have changed the chip for a Cortex A12, in most pages you will find it as Cortex A17. This chip outperforms 40% the chip Cortex A9, beeing a big jump comparing this two chips. The CS918 II RK3288 Android 4.4 TV brings an incredible 16-core GPU, yes, 16 cores made available to you for to enjoy all the games and multimedia content without any problems. The Movies will play really smoothly and not to tell you about the games, it is almost like having a console. This GPU takes a big leap compared with Mali-400 or 450, offering speed and great quality. The CS918 II RK3288 Android 4.4 TV offers more than enough connectivity. The Wifi with access to Dual Band allow us to use our wireless connection without interference, as long as our router accepts the 5GHz band. In addition it brings us Bluetooth 4.0 with which connect our remote controls, console controls to play, etc. Also 2 USB ports and one Micro-USB to connect different perfiféricos as external hard drives, flash drive, etc. In general, the connectivity of CS918 II RK3288 Android 4.4 TV is pretty good. The CS918 II RK3288 Android 4.4 TV offers an internal memory of 8Gb more than enough to install all the apps or games you want. In addition we can expand the storage capacity using cards MicroSD up to 32Gb or directly plug in an external hard drive or flash drive. The 2 GB of RAM ensure you that all we want to run, run entirely fluid, offering us a very nice experience to control it. The CS918 II RK3288 Android 4.4 TV brings DLNA and Miracast support to share data between devices without the use of wires. Thanks to Miracast we can share the screen (mirroring) from our mobile or tablet android quickly and simply. 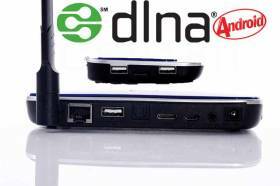 Besides the DLNA allow us to share files between devices that are under the same internet network. 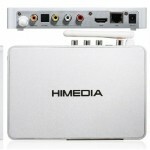 What is the CS918 II RK3288 Android 4.4 TV ? With the CS918 II RK3288 Android 4.4 TV and the help of an aplication such as XBMC you can see all the Movies, series, documentaries and video channels of different networks like youtube, as simply and conveniently. 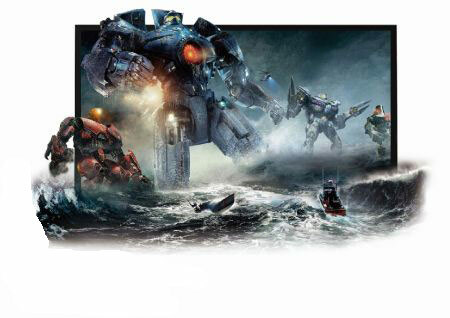 Thanks to the power and speed of CS918 II RK3288 Android 4.4 TV, you can choose at all times that movie you want to see and will be played instantly without problems. But not only movies! you can see the English channels, soccer, the latest series, etc in a really good quality. Certainly, if you try it you can not return to normal TV. 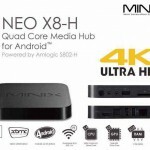 With the CS918 II RK3288 Android 4.4 TV and technology like DLNA and Miracast, you can connect different devices that are inside the same wireless network in your home. You can connect devices such as computers, phones, tablets, audio, storage, etc and share files between them and your CS918 II RK3288 Android 4.4 TV. With the CS918 II RK3288 Android 4.4 TV you will turn your old tv into a smart tv with access to Google Play. Thanks to the operating system Android 4.4.2 KitKat you can install all the applications that you can find in the store of Google Play. Surely more than one has a smartphone with android or know someone who does, then imagine all the applications that you could use on your TV screen. From applications like Facebook, Whatsapp, Youtube to the latest games. With the CS918 II RK3288 Android 4.4 TV yo can make phone calls using applications like Skype from your TV. Also if you plug in a webcam into the USB you could do video-phones with everyone without any problems. With the CS918 II RK3288 Android 4.4 TV and GPU Mali-T764 you can enjoy all the games that can be found in the store of Google Play, to its maximum quality and speed. Also you can turn your TV into a console with just plugging in a gamepad, either the PS4, Wii or XBox. All this with an incredible speed. 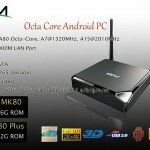 Finally an android TV comes with the new SoC RK3288, the CS918 II RK3288 Android 4.4 TV is a model of android tv, with a great features and an amazing price. If you’re looking for android TV that offer you versatility and powerfull technology, the CS918 II RK3288 Android 4.4 TV is a great option in the market for you. 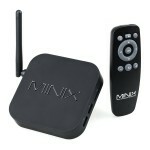 In Internet you can find many resources to take full advantage of your CS918 II RK3288 Android 4.4 TV. Here we will be adding applications, plugins or ROMs we consider most important. 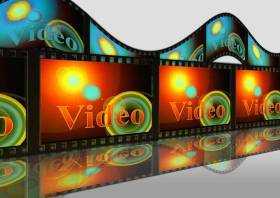 There is countless plugins for XBMC with will add many features to this program. If you are interested, on our site we have an article about the best applications for Android TV. The best place to buy a CS918 II RK3288 Android 4.4 TV is definitely on Amazon, where you will find the CS918 II RK3288 Android 4.4 TV best price and customer service that you can find anywhere else. 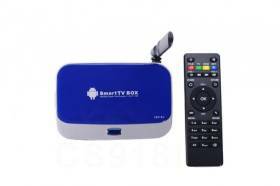 Buying a CS918 II RK3288 Android 4.4 TV on Amazon ensure you that the android tv will come to you without any problems.